In my last post on sp_who2 I demonstrated how this handy utility can help you in your SQL Server troubleshooting efforts. What is DBCC INPUTBUFFER ? It is a command used to identify the last statement executed by a particular SPID. You would typically use this after running sp_who2. The great thing about this DBCC command is that it shows the last statement executed, whether running or finished. DBCC INPUT BUFFER will generate errors so ensure that the space between INPUT and BUFFER is omitted. Now run sp_who2 to identify the lead blocker followed by DBCC INPUTBUFFER using the lead blocker SPID. 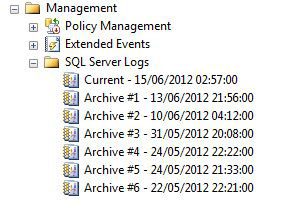 Here are my results with the column “EventInfo” providing the detail that I need on the T-SQL which is causing the problem. It is possible to copy and paste the code into a query window for analysis. You need to be a sysadmin or have the VIEW SERVER STATE permission to be able to run this command. Again, like sp_who2, this handy command should be in your “DBA Toolbox”. If you haven’t used sp_who2 before then it is a great utility to help in diagnosing a problem with your database application. It’s a stored procedure which is installed with SQL Server which when run, outputs a row for each “SPID”. SPID stands for Server Process ID and one is created every time an application needs to open a connection to SQL Server. Each row contains a number of useful columns including information on things like the status of the SPID, what its resource usage is in terms of CPU/IO and what login is currently executing the command. A login can run sp_who2 and obtain information about its own connection. For a full list of SPID’s, either the login has to have sysadmin permission or VIEW SERVER STATE permission. Lets say for example that the phone rings and everyone in the department using the sales system is complaining that their copy of the application is freezing when trying to access the customer sales order data. So for this blocking demo, I have created a simple table in my database called “Orders” and I am going to start a transaction and leave it open without committing or rolling it back. The DBA now has to decide how best to proceed with resolving this problem based on the cause and effect of taking action. They will try and work out what the lead blocker is doing and one way they might do this would be to use “DBCC INPUTBUFFER(SPID)” where SPID is the number of the connection to be analysed and the results returned tell the DBA what the command/query was executing as that SPID. Instead of using sp_who2, another way would be to look at the dm_exec_requests DMV. I’m going to look at these in a future post. In my demo it is easy to resolve this as I can kill the connection, force a commit or force a rollback and it will be instantly resolved. It might not be as clear cut as this in another scenario. Lets say that a process has been running for some time with a large update and this causes the blocking problem described in the demo. When the DBA views the results of sp_who2 and notices that the process has been running for many hours, they know that by killing the process, a rollback has to finish before the resource will become available again for other queries to be able to complete. The rollback could also take many hours in this instance and so such decisions cannot be taken lightly. The solution will vary depending on the scenario. Something I get asked is whether there is a way to check for active connections by running a filter – something like exec sp_who2 ‘active’. Sadly this doesn’t work but there is a simple way and that is to capture the results to a temporary table or temporary variable and then query that. There is a nice piece on this over at Stack Overlow which is worth a read and demonstrates a few solutions to this. 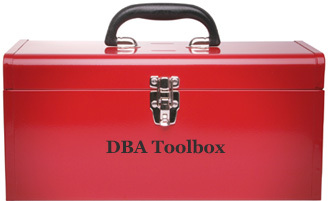 sp_who2 should be part of every DBA’s troubleshooting toolbox. It provides a great overview of what the connections are doing on the SQL Server and can quickly help the DBA find reasons for increases in application timeouts, high disk IO or high CPU pressure.